Home / Patterns / Counted Cross Stitch / Just Nan – Oh Deer! Just Nan – Oh Deer! 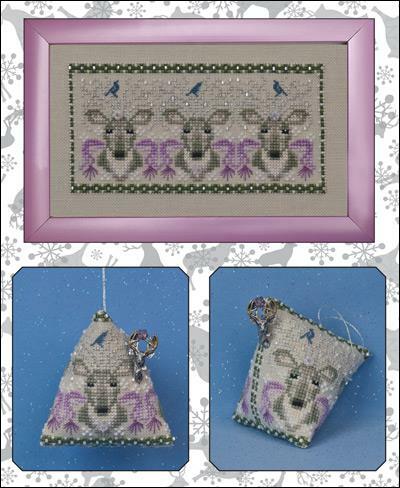 A design from Just Nan that can be done as a framed piece or a 3D humbug with 3 deer heads. The pattern comes with beads and the charm garden pin dazzling deer. It is shown stitched on 32 count platinum Belfast linen with DMC floss and one #4 metallic braid 3231 from Kreinik. Design size is 43H x 85W.